This website is a collaborative resource center. Tell us what you are doing. Learn from others. Share ideas, research, case studies, model legislation, public education materials, and more. 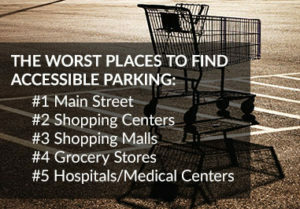 All statistics, unless otherwise noted, are from the APC's National Survey on Accessible Parking and Disabled Placard Abuse, 2018.